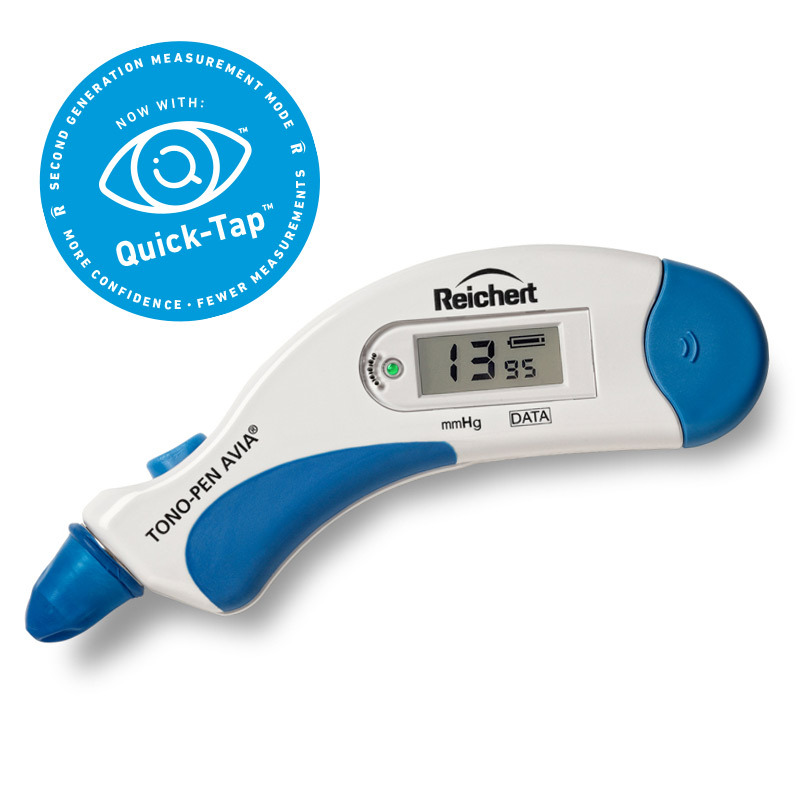 Reichert Tonopen AVIA with Quick Tap! Tono-Pen® AVIA, now with Quick-Tap™ Measurement Mode... More confidence. Less measurements. The one you trust in tonometry. 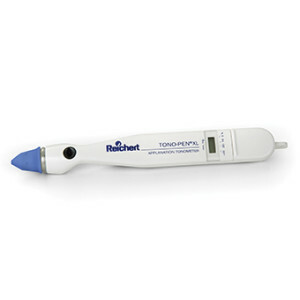 Tono-Pen AVIA® Handheld Tonometer is always ready-to-use and calibration-free. An award-winning ergonomic design, long life battery good for thousands of measurements, statistical confidence indicator, and now Quick-Tap™ Measurement Mode, make it the most advanced Tono-Pen® yet. Tono-Pen AVIA builds on all the features that make the classic Tono-Pen® XL the clinicians’ choice for the past 30 years. Supported by hundreds of publications, Tono-Pen provides fast, accurate, and reliable IOP measurements that are less sensitive to corneal centration, can be taken in any position, and require minimal training. Tono-Pen AVIA is proudly made in the USA. The Tono-Pen XL Applanation Tonometer is an easy-to-use, handheld instrument that provides IOP readings that correlate closely with Goldmann Tonometry. Tono-Pen XL's lightweight ergonomic design and advanced electronic measurement technology enable operators to take fast and accurate IOP measurement with minimal training. Weighing only 2.1 ounces, Tono-Pen XL is extremely portable making it easier to take IOP measurements anywhere on any patient. Tono-Pen XL is made in the USA.